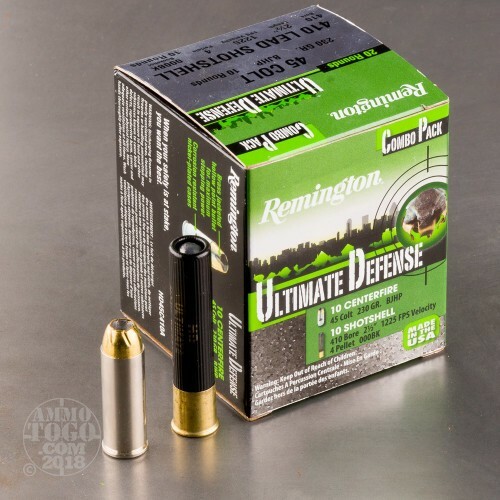 This is a .410/.45 Colt Remington Ultimate Defense .410 2 1/2" 4 Pellet 000 Buck / .45 Colt 230gr. 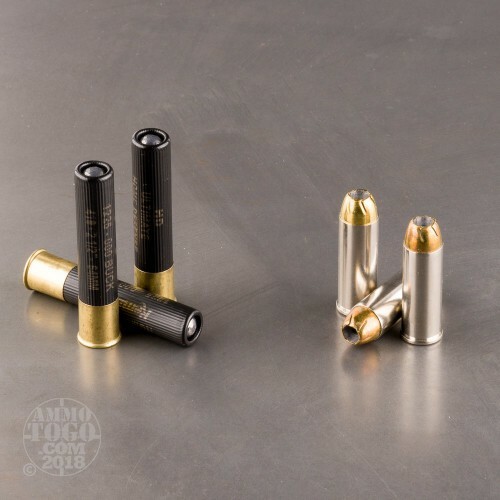 Brass Jacket Hollow Point Combo Pack Ammo. Two of the most tested and trusted payloads in home defense, together in one convenient package. 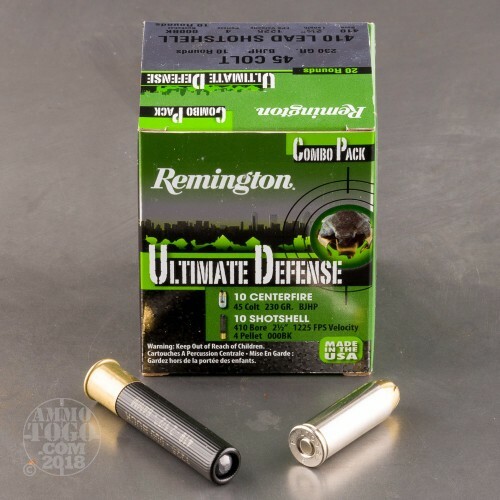 For serious stopping power, Ultimate Defense 45 Colt features a 230-grain BJHP-style bullet, while the 410 load offers 4 pellets of 000 buckshot to deliver ultra-tight patterns and one-shot confidence. 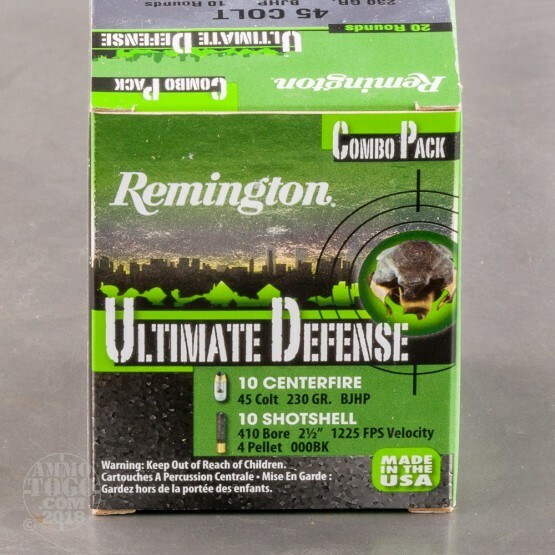 For the ultimate in close range assurance when it matters most, each feeds seamlessly through your combination handgun. The .45 Colt is brass cased, nickel coated, boxer primed, and non corrosive. The 410 is plastic hulled, boxer primed, and non corrosive. 10rds. 45 Colt and 10rds. 410 Shotshells. 410 Muzzle Velocity: 1225 fps.